Jelani Liburd shot on Jan. 1 died in hospital. 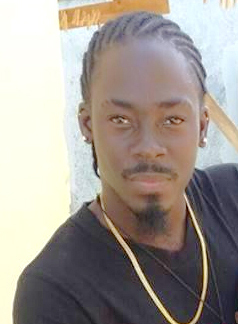 BASSETERRE, St. Kitts –- The Royal St. Christopher and Nevis Police Force is making arrangements to have an autopsy performed on the body of Jelani Liburd to determine his exact cause of death. Liburd was warded at the Intensive Care Unit at the Alexandra Hospital where he passed away today. Investigations into the matter are ongoing. Anyone with information about his incident are urged to assist the Police by contacting the Violent Crime Unit at 662-1023 or their nearest Police Station.